This new postseason will still preserve college football’s rich bowl tradition as the Rose Bowl, Sugar Bowl, Orange Bowl, Cotton Bowl, Fiesta Bowl, and Peach Bowl will rotate as hosts for the playoffs. The first semifinals will be January 1, 2015, played at the Rose Bowl and Sugar Bowl. AT&T Stadium (Arlington, TX) will host the first championship game on January 12, 2015. University of Phoenix Stadium (Glendale, AZ) will host the championship game in 2016 and Raymond James Stadium (Tampa, FL) will host in 2017. Cities around the country are vying to host for 2018 and beyond. One thing that has not changed from the BCS system, every game counts. All 128 teams will qualify automatically and every team has a shot at the playoffs. 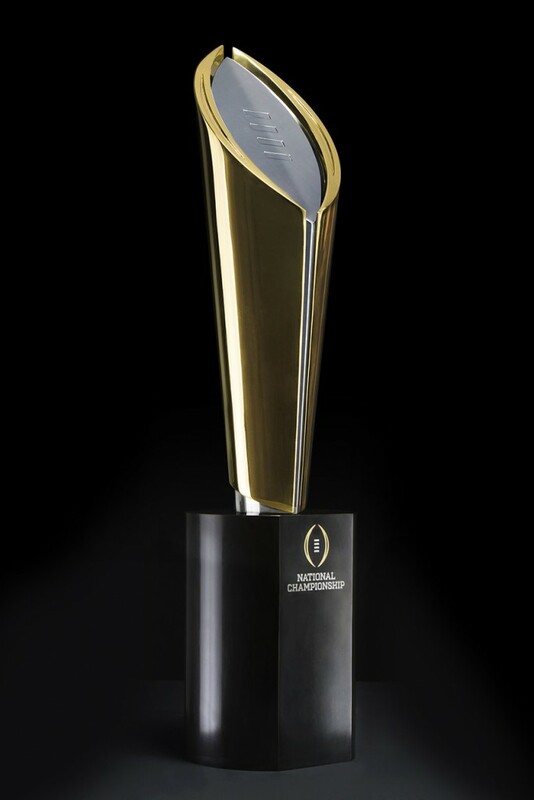 The official Twitter handle for the College Football Playoff and national championship trophy is @CFBPlayoff. Follow the announcement by using search term #CFBPlayoff. * The selection committee is comprised of 13 members who will serve three-year terms (however, with this inaugural group, some members will serve less and others more to achieve a rotation of members).